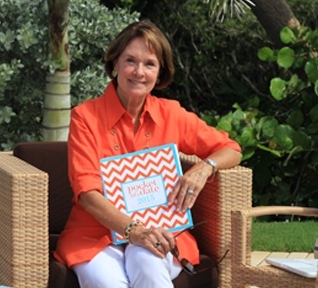 Great ideas are born out of necessity – and such is the origin of Lyn Kennedy’s Pocket the Date organizer, her essential companion for people on the go. 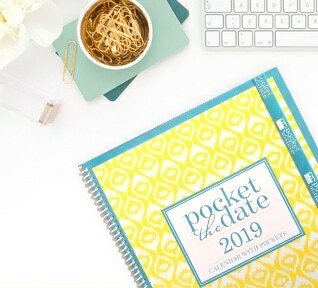 Learn how her love of organizing, combining vibrant colors and patterns and heart for helping spurred a new practical planner. Tried, true and tested, our spiral bound planner with pockets is back to help ensure your plans are perfectly placed – at home, in the office, or on the go. With patriotic accents, this year’s PTD is already a fast-seller, so be sure to put your order in quickly! We’re pleased as punch to be carried by some of the finest stores across the country. Take a peek at locations that play host to Pocket The Date calendars and be sure to pay a visit…especially when our personal allotment sells out online! We are in 17 different states and growing.